The vast continent of Africa is an enthralling place to visit on safari with something exciting around just about every corner, track and road you travel along. Gone are the days of “roughing it” out on safari because in these modern times, these wonderful adventure holidays boast a little luxurious living if you want it too. It really doesn’t get any better than travelling a dusty track, spotting all sorts of wildlife in their native habitats and then relaxing in a superb campsite in the middle of nowhere with like-minded fellow travellers. 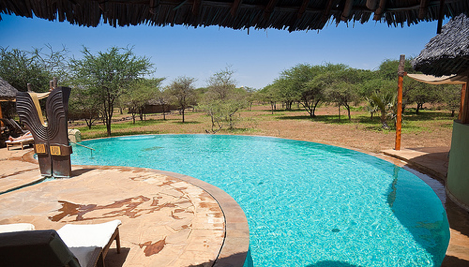 Modern safaris offer a little bit of luxury living in the middle of nowhere. 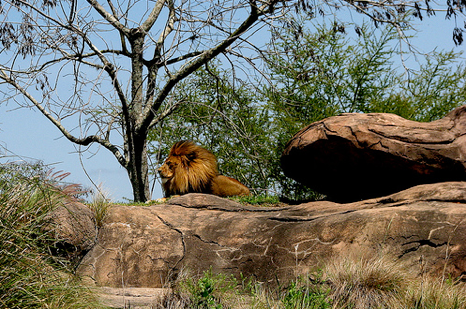 What Will Your Safari Adventure Be? With a stunning choice of safaris to go on it can be a hard when it comes to choosing the ideal route you’d like to take. Just think of weeks away travelling across a splendid savannah, through lush forests, down never-ending dusty trails. All the time you will explore the many thrilling regions and countries en-route as you cross a multitude of borders. If however, time is an issue, there’s a great choice of shorter safari tours available all of which take adventurers across many wild and wonderful parks found on this superb and varied continent. The days are full of adventure as you travel across some of the most beautiful regions on the planet, comfortably ensconced in a safari truck along with other travellers. With photo opportunities abounding and lots of stops in fascinating places along the way, it makes for a thrilling, action packed experience never to be forgotten but only dreamt of being experienced again. The evenings and nights are superb when you’re on safari in Africa and it’s a time of the day when travellers can kick back and take in everything they’ve seen and taken part in that day. 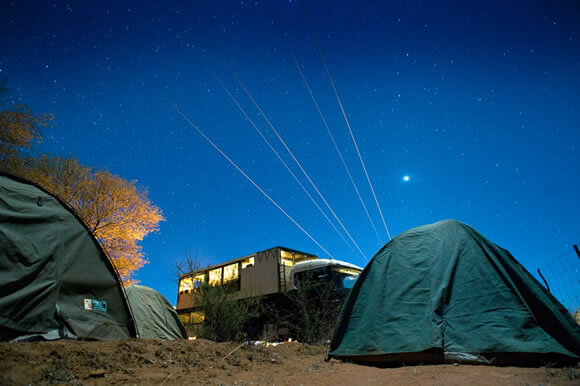 Some nights are spent in campsites and some are spent in luxurious surroundings with the one constant being you’ll find yourself and your fellow travellers in the middle of nowhere under big skies. Photo opportunities along the way can be astounding! If you’ve always dreamt of travelling across the Africa continent and taking your time whilst doing it, there’s the option to start your adventure in London on a safari that takes you all the way to Cape Town in South Africa. The trip takes 23 weeks and it’s a time of sheer adventure as you cross the vast continent of Africa, travelling through many countries, encountering wildlife and meeting lots of different people on the way. It’s a trip of a lifetime, if ever there was one. However, if you are more restricted for time but want to treat yourself to an African adventure, then a trip to Kenya and Tanzania might fit the bill perfectly. This is a superb 11 day safari that takes you to extraordinary destinations during the day. 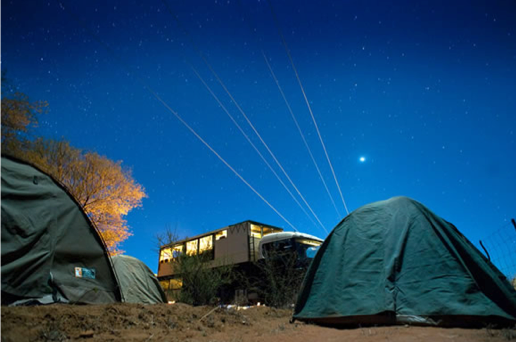 At night you get to spend exotic evenings in splendid campsites in extraordinarily beautiful settings. There are a number of available optional trips such as in Kenya. Mount Longonot extinct volcano crater, Green Crater Lake; the wonders of the Lake Nakuru National Park and in Tanzania the Serengeti National Park & Ngorongoro Crater. The sunsets are superb and when the sun rises another thrilling day awaits as you cross more wild and wonderful terrains including across the Masai Mara National Reserve. A superb 4 week safari takes you to see the gorillas in Rwanda, the incredibly beautiful Rift Valley, across the Masai Mara National Reserve to Lake Victoria and Lake Bunyonyi. You get to cross the equator and travel to Zanzibar, a wonderful tourist haven with a rich variety of experiences to enjoy. Often called the Spice Islands Zanzibar in particular produces black pepper, cinnamon, cloves and nutmeg. Spending time on the coast of the Indian Ocean is a superb experience showing the extreme contrast when it comes to terrains, landscapes and coastlines of Africa the continent. This is a thrilling safari that takes you through many regions and countries of this vast and fascinating continent where the skies are huge and the nights full of exotic sounds. The great thing about going on safari is it’s a team event from start to finish. The days are spent with travelling companions and if a truck gets stuck in the sand or mud. Everyone mucks in to get in back on the road and moving again. It’s all part of the unique adventure that makes travelling with others such an exciting experience across some of the most beautiful regions of this extraordinary and very unspoilt continent. When it comes to meal times – grabbing a bite during the day is one thing but when the sun goes down and the food is being prepared ready to eat under the African stars, it’s an exceptional experience. Why is it that food tastes so much nicer when served in superb settings namely an African savannah or under a Baobab tree. With every safari whether you’re travelling from Cape Town to Nairobi, you have the choice of optional trips along the way. These take you to some of the most stunning areas found in the many regions your safari journey takes you through. On a longer safari such as this which takes 42 days from start to finish, that means a shed load of places to visit, but only if you want to and who wouldn’t when travelling on a trip of a lifetime like this. If you’ve got four months to spare and want to go on a Trans African adventure, consider being involved in the Cape Town to Cairo trip. This is an amazing voyage of discovery from the moment you set off in South Africa. As you cross landscapes and cross borders into other countries you get to see another set of impressive things which you can then discover, explore and experience. The journey is life changing. A wonderful life changing experience just waiting to happen! There’s something very appealing about travelling across some of the most beautiful regions found on the continent of Africa. This is especially true if you’re on safari with like-minded folk in search of a life changing adventure. With a superb choice of journeys to suit everyone’s dream and budget as well as time they can spend away. The hardest part is choosing just which route to go on – after that its plain sailing. The adventure really begins the moment you set off on your incredible journey – one you’ll never, ever forget!